An aftermarket compatible remote, perfectly replaces your plastic Nice remote control, works where Nice FLOR-S works. Wondering if it works same as Nice FLOR-S remote? Watch our video showing how we program it to Nice standalone receiver. 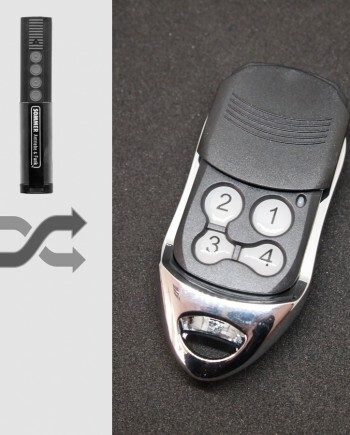 Our Nice #N2 compatible remote replaces many Nice remote control models including genuine Nice FLOR-S key fob remotes, as well as other Nice remote models such as FLO1R-S, FLO2R-S, FLO4R-S, Very VR etc, it also works with Nice radio remote systems using KeyPad MOON MOTX-R control. Compatible Nice door receivers includes FLOX1R, FLOX2R, FLOXB2R, FLOXIR, FLOXI2R, SMXI, SMX2R, FLOXMR, FLOXM220R receivers as well as other standalone receivers made by Nice. Not compatible with some other Nice remote control models using old 26.995 MHz frequency, such as K1, K2, K4 26.995 MHz, K1M, K2M, K4M 26.995 MHz, or 27.120 MHz remotes such as K1, K2, K4 27.120 MHz, K1M, K2M, K4M 27.120 MHz, or 30.875 MHz remotes such as K1, K2, K4 30.875 MHz, K1M, K2M, K2M BLEU, K4M 30.875 MHz, or 40.685 MHz ones such as BT1K, BT2K 40.685 MHz, or 868 MHz ones such as ON2 EFM, ON2 FM, it is also not compatible with fixed code remotes such as FLO1, FLO2, FLO4, Very VE, other rolling code Nice SMILO series or ON series. Nice remote controls are made by Nice S.p.A., an Italy company founded in the early 1990s in Oderzo, and listed on the Italian stock exchange since 2006, Nice designs, manufactures and markets automation systems for gates, garage doors, road barriers, awnings and shutters for residential, commercial and industrial buildings, as well as alarm and electronic control systems, combining technological innovation and design to offer products that are extremely simple to use. 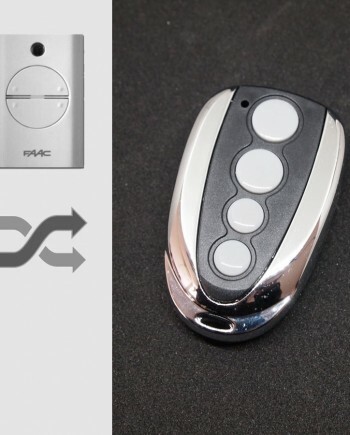 Based on our marketing research, the best-selling Nice remote control model for garage doors is the Nice FLOR-S, the remote for roller shutters Nice ERGO, also popular are the models ONE 2, SMILO, VERY VR etc. 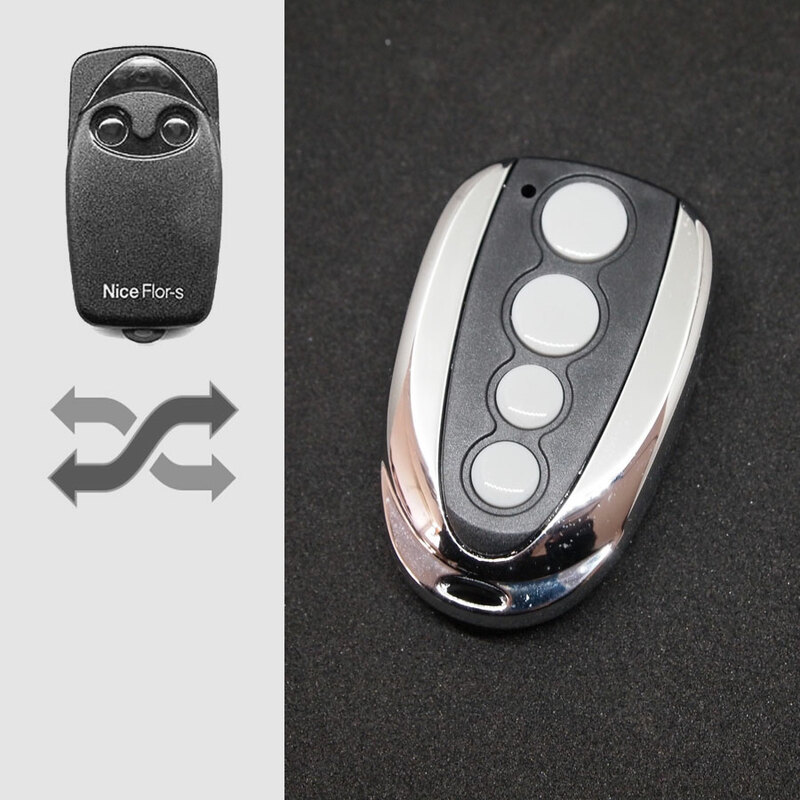 Nice FLOR-S is a two channel remote control key fob for swing gates, sliding gates, garage doors, road barriers, sun awnings, blinds, shutters and alarm systems etc. 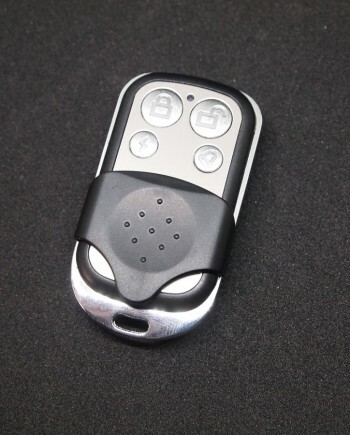 The remote control features 433.92 MHz rolling code system with self-learning function, the 4.5 million billion code combinations made Nice remote very secure. 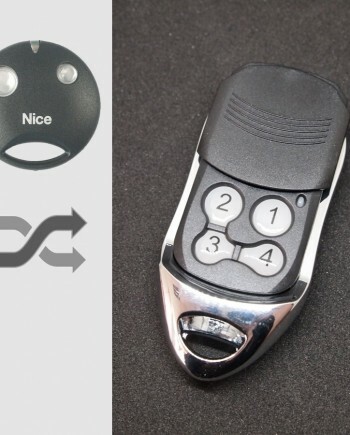 Nice has several different code formats in remote controls and they are not compatible with each other, for example, Nice FLOR-S is not compatible with Nice SMILO remotes, but FLOR-S system is more popular in some countries. 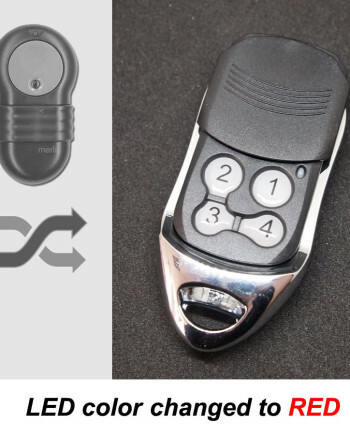 Nice brand remotes are widely used all over the world, such as Italy, Germany, France and UK in Europe, as well as Russia, China, Australia, South Africa and the USA, so there are many locksmiths, garage door opener & gate remote dealers need Nice remote controls in this region. 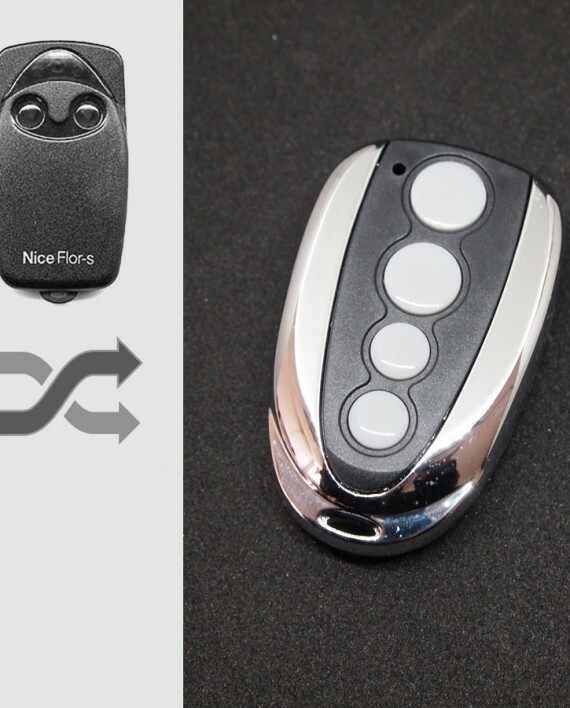 Official Nice FLOR-S remote control programming guide is missing on Nice website, you can find it on your door opener’s owner book, link to 3rd party manual is here. Watch programming video for Nice FLOR-S on YouTube, our replacement remote works the same as genuine Nice remotes, so they share the same programming procedure. We make Nice FLOR-S compatible remote in our factory in China, so we know our products better than anyone else in the world. We’re confident in our engineering team & quality control, actually our Nice compatible remote uses the same key components as genuine ones. 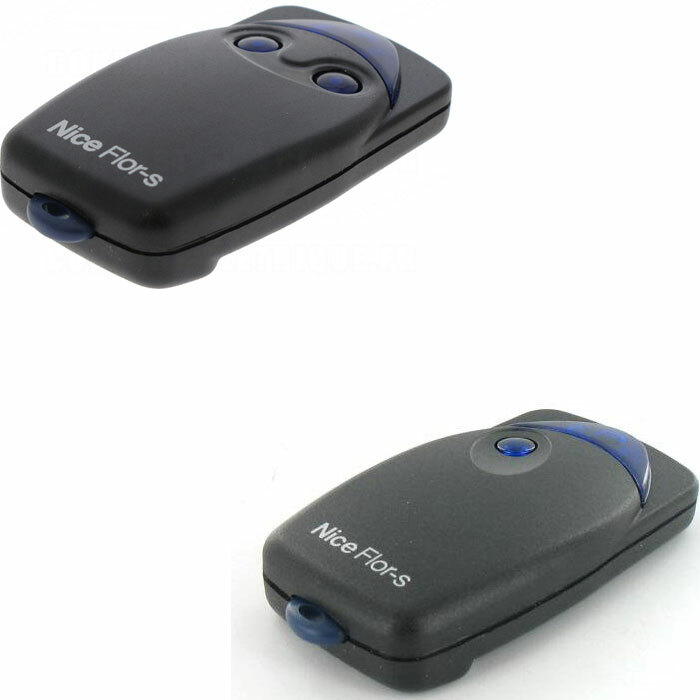 Comparing our factory-direct low price with high price of genuine Nice remote, you can have considerable profit by selling our products. * Our Nice compatible remotes are white label products with optional logo printing service for bulk orders.